Alchemy's Street Level project brought Community Organiser training to Sneinton throughout 2014, reaching out through door knocking, one-to-one engagement and group meetings to activate, support and encourage people to become active in their communities. Here are stories from Kyle and Debs, two Street Level volunteers. "I found volunteering as a community organiser really interesting. "I would have liked to pursue further as I started the volunteer training programme, but I started full time employment. "The highlights have been meeting with new people, sharing experiences, helping to organise the volunteer celebration and being part of the community organisers team"
"I never believed that I would actually enjoy knocking on people's doors and asking them for their views on the area in which they live. "In the beginning it was quite a difficult thing to do because I felt as though I was interrupting people's lives and I felt that they wouldn't want to speak to me. "I was wrong. 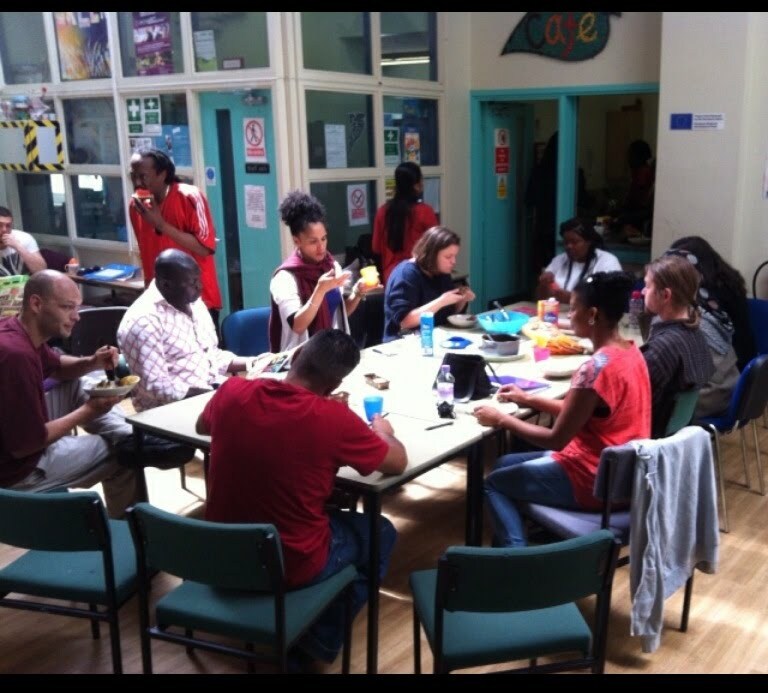 All through last summer I spent time training to be a community organiser at TRACs in Sneinton. "I can remember the first time I knocked a door and the people invited me in to talk. It was EID and the family were fasting. Despite this, they invited Dave and I into their home, made us tea and offered us food. "There was a language barrier but this did not stop the mother and father from communicating with us long enough for us to arrange to return with an Urdu speaker. Everybody we spoke to made me feel as though people actually welcomed the chance to talk about their opinions. "In Sneinton most of the people I spoke to were from other countries. This was a challenge and now we are making efforts to reach out and bring people together to speak about their concerns and celebrations through the development of a multi- faith group which we have received funding for. "Through community organising I have developed personally as I have met a lot of people, developed my knowledge and skills through training such as the Action Camp and Residential Training but most of all I have seen evidence that people can use their personal power to make changes in their community." 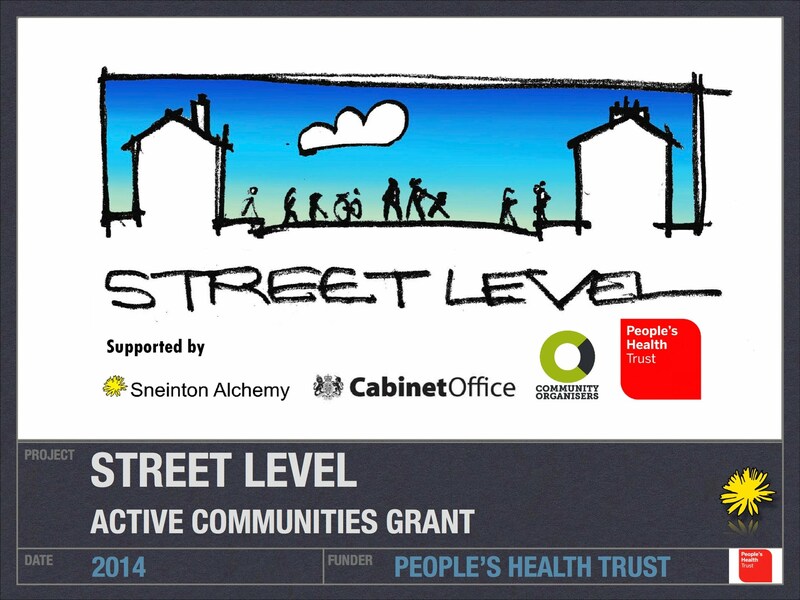 Street Level was funded by the People's Health Trust, Active Communities programme.